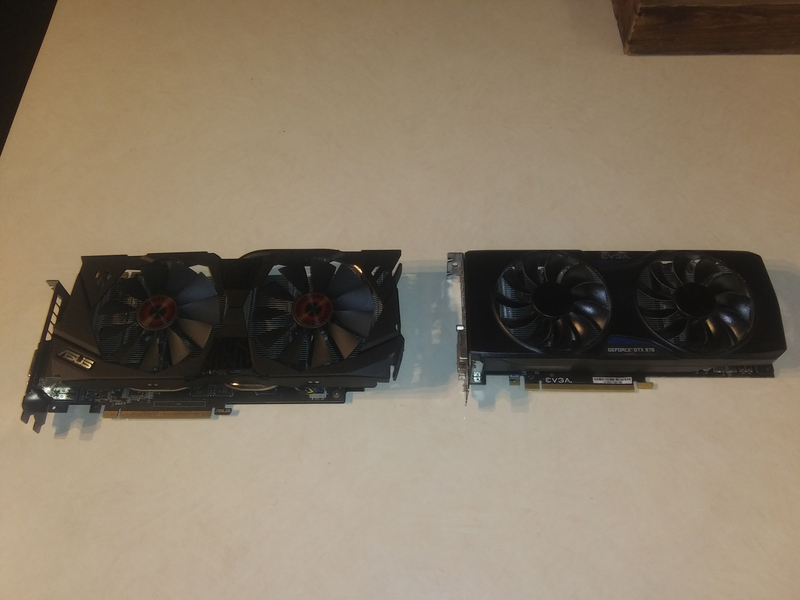 Selling two GTX 970s, looking for buyers. Fractal Softworks Forum > Other > Discussions > Selling two GTX 970s, looking for buyers. With Alex's permission, I am posting in here that I no longer require my GTX 970, or my other GTX 970, and am looking to sell them. Just a fair warning, there is little reason to own both of them, so if interested I would recommend only buying one. One of them is an Asus, the other is an EVGA, neither of them are reference models, first come gets their pick of them. Asking price is $100 + shipping. Re: Selling two GTX 970s, looking for buyers. Did you use them for any form of mining? No, One was my own personal card (the smaller, EVGA card) that I used for gaming and work over a span of about 3 years. The Asus card I picked up from a friend, thinking I might use it in tandem with the one I already had, but It didn't pan out. I can confirm that it functions but I never stress tested it, but as far as I know, it was used for very much the same purpose, and for roughly the same span of time, give or take about 6 months. Im getting rid of them because with the recent 1660 announcement being a bit of a letdown, I expected 1070 prices to skyrocket and figured now would be the time to get one. Not entirely sure that happened...but here we are.